Jack Jessen welcomed the challenge. 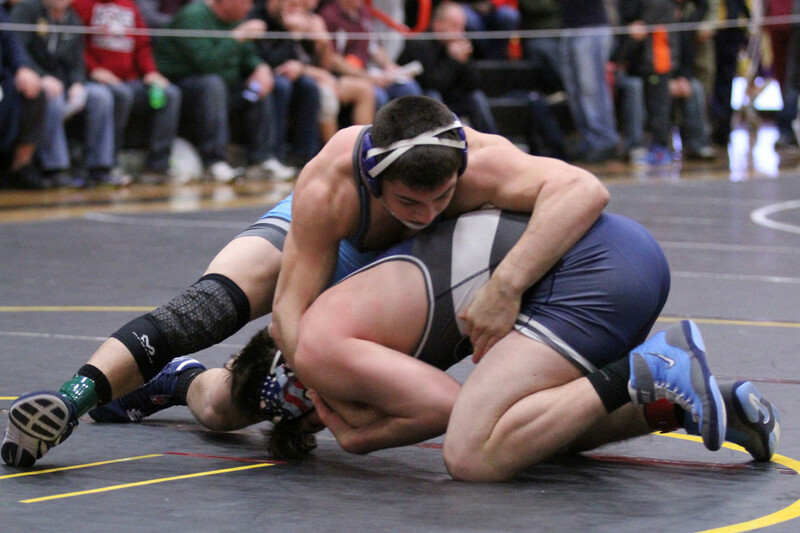 Competing in arguably the toughest weight class at last weekend’s Dvorak Tournament, the 182-pound Willowbrook senior was eager to face the best. An opportunity he passed with flying colors. In a bracket that featured three future Big Ten Conference wrestlers, Jessen – a Northwestern recruit – beat not one but two opponents who are currently ranked in the top 14 in the nation by InterMat. It was yet another standout week for the standout Willowbrook star and, for all he accomplished, Jessen is this week’s GO EARN IT Wrestler of the Week. After a strong start to the tournament, Jessen faced Wisconsin commit, Waterford (Wisc.) star and No. 8-ranked Jared Krattiger in the semifinals. After No. 3-ranked Jessen allowed a first-period takedown, he scored the match’s final three points – including the go-ahead third-period escape – to pull out a hard-fought 3-2 victory. He followed it up in the finals with a 6-4 win over Illinois commit, Althoff senior and No. 14-ranked 170-pounder Zac Braunagel. It was Jessen’s third straight Dvorak title. “It’s tough to go back to back like that,” Murphy said. “It’s a long day, a tough break in between matches and we just got done with finals (at school). The week beforehand he also came in at night doing different breakdown workouts. There was a lot of drain. While Jessen – who has a 4.2 GPA on a 4.0 scale – captured the title, he still hasn’t won the one title that means the most. After winning four IKWF state titles and his first Junior Greco title over the summer, Jessen has yet to win a state title but has come painfully close. He finished second in Class 3A 170 pounds as a freshman, third at 3A 182 pounds as a sophomore and second at 3A 182 pounds as a junior. Winning the elusive state title this season would complete his journey. “Coming so close to a state title so many times really hurts,” Jessen said. “Getting second freshman and junior years were painful because of all the work I put in and how close I came. This year, I’ve turned that pain into motivation to train harder and make sure that I don’t come up short this year.